The other day Allan Hirt (blog|twitter) write a fantastic post around “How to properly configure DTC for Clustered Instances of SQL Server with Windows Server 2008 R2”. He included a PowerShell script to handle all the funky setup stuff. The only downside was that after that you had to manually go through and configure Network Access and security for the clustered DTC using the GUI. “There has to be a better way” I thought. I recalled how security back in 2003 could be set in the registry so I went digging. Eventually I was able to find the requisite keys under the Distribute Transaction Coordinator resource. From there it was just a case of tying things back so that those keys could be easily found from the SQL Resource Name and then updating them so that they matched what Allan demonstrated on his page. I’ve tested it on a couple of my clusters and it’s worked exactly as designed, you just need to change the ServiceName variable so that it matches your clustered service name and then decided what authentication method you want to use (it defaults to the most secure level: Mutual Authentication Required). This configures a basic networked config for MSDTC for clustered SQL Server instances. $ServiceName = "SQL Server (SOX2)"
In parts 1 and 2 the cluster was made ready for the SQL install and the Active Directory objects were created. In the final part of the series we will finally get to creating the ini file and installing SQL. The ini can be quickly modified to remove certain of these components if they are not required (I’m looking to add selections for these items to a future version). Download the CreateClusteredSQLInstallFile.ps1 and copy it over to the server. From there it can either be opened directly in PowerShell ISE or called from within the PowerShell shell. This time it should run without any errors. The filenames are generated based upon the user creating the script and the time that the script started executing (this helps to prevent accidental duplicates). I’ve got files, so now what? I also like to store these files away in a repository, this way it’s a very quick and easy operation to add a node to a cluster or find out what installation settings were used. Can we do the SQL install already? That’s all the information needed to perform the install. Not exactly a whole bunch of bells and whistles there, but “Setup result: 0” tells us that the install was successful (even though it’s somewhat cryptic). Rinse and repeat for as many nodes as you need. Setup your cluster, ensure Active Directory is good to go and use CreateClusteredSQLInstallFile.ps1 to quickly build your ini file to install SQL Server on to your cluster. It’s quick and easy. It allowed me to deploy 4 SQL Server instances to 5 nodes in under 4 1/2 hours. Give it a try, let me know what you think. I’ll be looking to enhance it in the future. In Part 1 I showed how the cluster was readied for the SQL install. In this short part 2 I’ll go over the Active Directory configuration components so that everything is ready for us to start performing the install. The first thing is to create a new Computer object in Active Directory. This will be the virtual name used in the cluster. Once added we need to go back in and edit the properties of the Computer (you’ll need to use Advanced Features for this bit, look under the view menu item). And then give CLUSTER1$ Full Control over the computer object. In the interest of security I’ll be using one account for the SQL Engine and another for the SQL Agent. Quickly create a couple of accounts with nice secure passwords (that of course you will keep somewhere secure, like in a KeePass file). I like to give the accounts good descriptive names. It makes them easier to find later (actually the best way is to have a separate OU for the SQL accounts and for the SQL computer objects as it makes it a lot easier to manage and create Group Policies for them). I’ve written a few posts recently around Clustering. Most of thse have been inspired by working on building out 4 new clusters consisting of 16 nodes and 14 new SQL instances. Each of the servers in the clusters are identical and each one of the SQL installs needed to be exactly the same. Given how slow it is to use the SQL installer GUI I figured it would take me about 2 1/2 lifetimes to perform the installs I needed. So what would be a better way to perform these installs? It makes sense to perform automated installs using ini files that hold all the configuration information for the instance. There’s a good MSDN article on “How to: Install SQL Server 2008 R2 Using a Configuration File”. Using the SQL Server instance prep tool is again a major undertaking using the GUI. I figured that there had to be a better and faster way to build an ini file to perform the installs I needed. From previous cluster installs I had a couple of configuration.ini files laying around, it’s a pretty easy task to manipulate those to reference new clusters/disks and IP addresses. Thing is that it’s not particularly quick and also very prone to error. So what would be a better way? Yet again, PowerShell is the savior in this situation. I put together a script that is quick and lightweight, asks the relevant questions and provides you with the ini files that you need to install a new clustered SQL Server instance and the ini files that you need to perform the installs on the additional cluster nodes. Before using the script we need to ensure the cluster is setup and ready to go. Here I’ll be using my home machine to install a new clustered SQL Server instance. I’ve created a new cluster called CLUSTER1 consisting of two nodes CLUSTERNODEA and CLUSTERNODEB which consists of a private and public network (named as such). The cluster had node and disk majority. Storage wise (as this is a demo) I’ve only got a couple of disks. SQL Data Disk to hold my SQL system, data and log files plus SQL Backup Disk to hold the backups. This is obviously not how I would setup a normal system, this is just iSCSI disk running on my laptop, don’t judge me too harshly. In part 2 I’ll go over the configured Active Directory components so that everything is in place ready for the install to happen. Following up on my post about Using PowerShell To Add Owners For Cluster Disks here’s another quick post on how PowerShell can help you with your clusters. In my new cluster build out I needed to quickly set it so that one of the SQL instances could only potentially live on two of the 5 nodes. This could have been quickly done using the GUI however it’s just as fast to do so using PowerShell. Load up the Windows PowerShell Modules and you’re ready to go. In this example we have a two node cluster made up of SERVER1 and SERVER2 and a single installed SQL instance called INST1. Get-ClusterOwnerNode -Group "SQL Server (INST1)"
You have to love the simplicity of working with clusters in PowerShell. Here’s a quick post about how great PowerShell can be for your clusters. I’m in the middle of configuring a few machines in clusters and recently added a new node to a cluster that was already built (but not configured). I needed to have that final node be a possible owner for all 33 presented disks on that cluster. To do that through the cluster GUI would require a heck of a lot of mouse clicks….PowerShell to the rescue! The Windows PowerShell Modules (under Administrative Tools) allow you to do all kinds of wonderful things with clusters. Quick and easy. Saved my clicky finger lots of work. More PowerShell and cluster fun coming up in the next few weeks. I’m merrily working away on installing SQL 2008R2 on a bunch of new clusters. 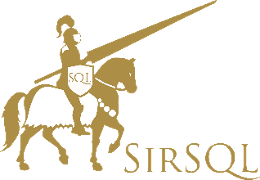 The SQL installs have gone fine and I’m getting set to install MSDTC, one for each SQL instance (read the awesome post by Cindy Gross on this). I failed back to the original node and it wouldn’t start there either. ERR [RHS] Error 123 from ResourceControl for resource <instance>_MSDTC. WARN [RCM] ResourceControl(STORAGE_IS_PATH_VALID) to <instance>_MSDTC returned 123. I checked the disk resource for MSDTC and it was online. Looking at the filesystem on that disk and there was an MSDTC directory, so I knew there were no access problems. It didn’t make any sense. The key error here is the failure to get MP root for path ? Apparently MSDTC is not supported does not work with Mount Points, which is what I had set the dependency to. There were no warnings on this when setting MSDTC up and I’d not seen or heard of any documentation that speaks to this. Side note: I love it when Connect items such as this are closed as by design. Why is this by design? Can someone explain to me why MSDTC shouldn’t be supported on Mount Points? I deleted the MSDTC resource and added it again, this time using a regular drive as a dependency and everything worked perfectly. I was able to failover and have SQL perform distributed transactions.